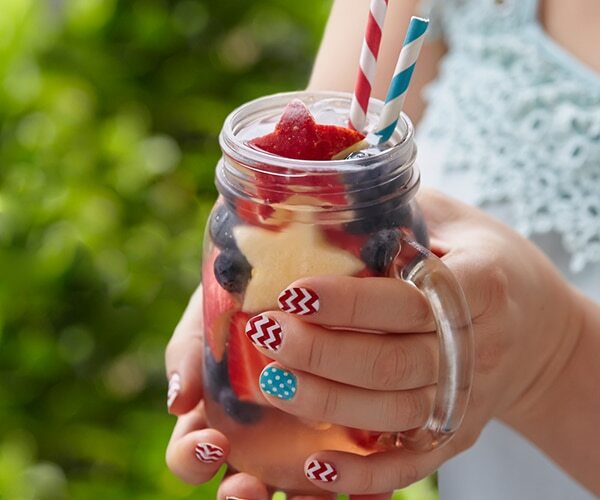 No Fourth of July celebration is complete without red, white, and blue eats. 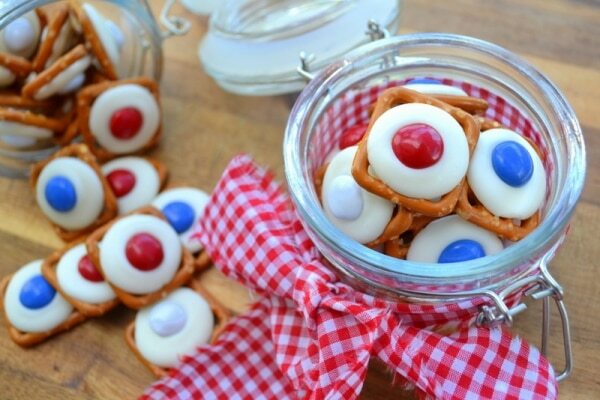 Fun, unexpected, and utterly patriotic, they’re an ideal addition to your party spread. 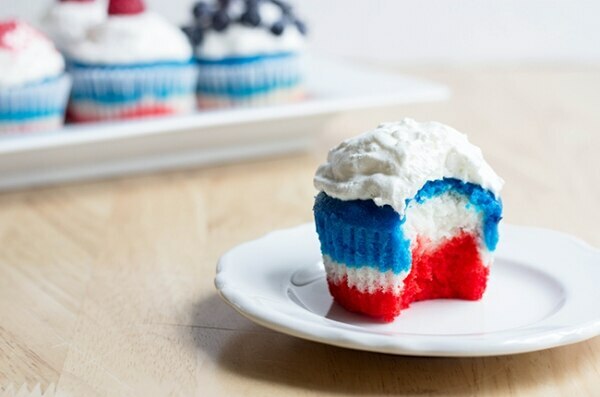 You can take advantage of ingredients’ natural hues or use food coloring to turn pretty much any white food into an ode to America. 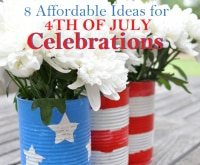 Check out these easy ideas and whip up one, or a few, for your Independence Day fete. These colorful chips couldn’t be easier to make. 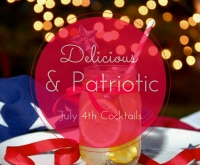 Plus, they’re versatile enough to turn any dessert into a star-spangled celebration. Divide the white chocolate between three microwave safe dishes. Microwave the white chocolate until it melts, about 1 1/2-2 minutes. Use a spoon to mix up the chocolate so it’s smooth. 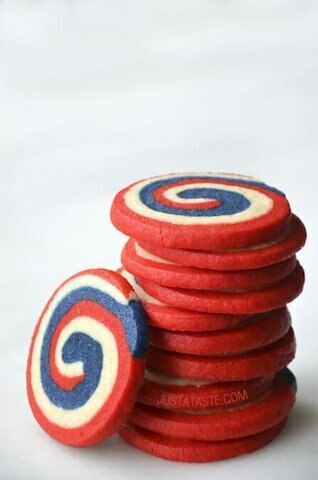 Add a swirl of blue and a swirl of red food coloring to two of the dishes. Mix in the food coloring until the chocolate is completely coated. You can add more food coloring until the desired hue is achieved. Place all three blobs of melted chocolate on a baking sheet lined with parchment paper. Cut up the chocolate into little squares or whatever shapes you like. You could even just break it apart with your hands. 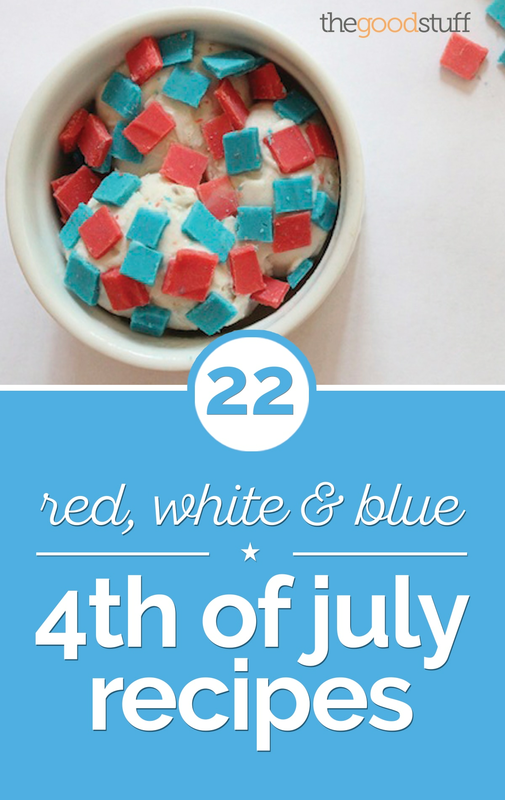 Sprinkle your chips on ice cream for a patriotic sundae, or use it to top a pie or cupcakes. 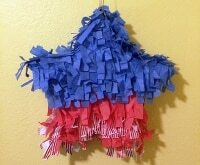 If you use a white base (such as ice cream or icing), you only need to decorate with red and blue chips. You could also cut the chocolate slabs into larger pieces and serve as is. Cupcakes are always a crowd pleaser, especially when they’re dressed for the occasion. 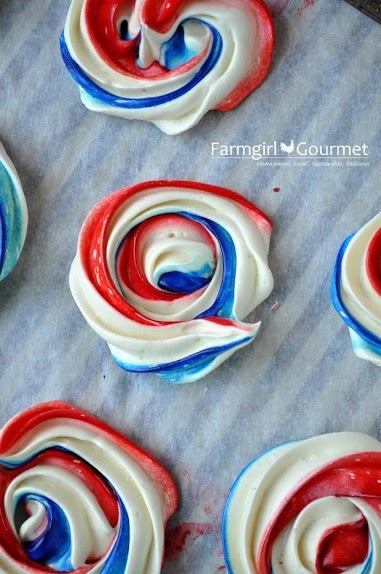 Starting with a vanilla cake mix base makes the swirly colors even easier to achieve. 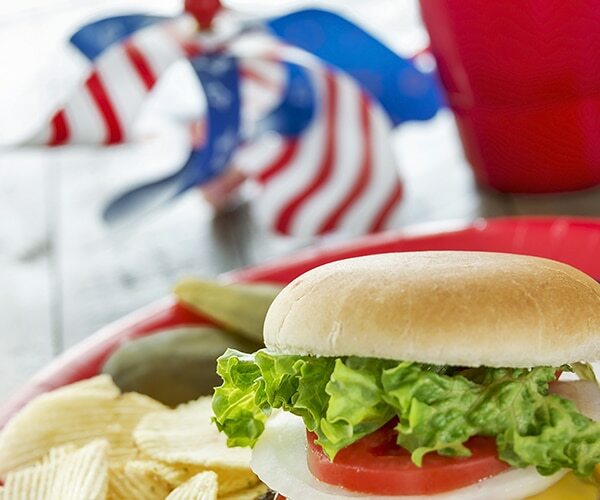 This is the perfect salty-and-sweet Independence Day snack food. 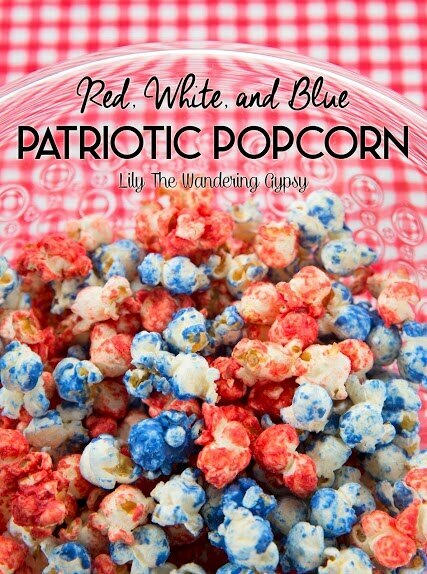 Simply divide your popcorn into three and cover two of the portions with red and blue candy melts. Not only do these cookies look adorable, they’re also deliciously soft and chewy — and made from the most basic ingredients. Even better, you can prepare the dough ahead of time and keep it in the fridge, so they’re easy to bake for your guests. 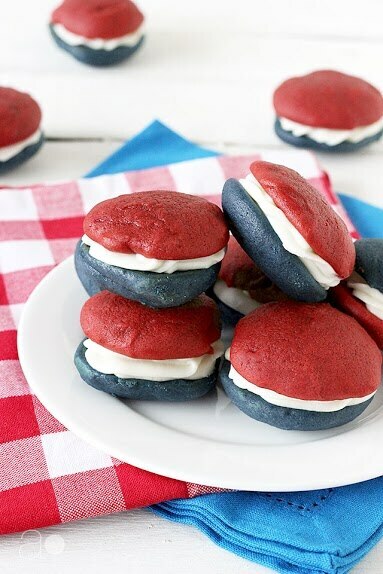 This classic dessert gets a Yankee spin with red, white, and blue layers. 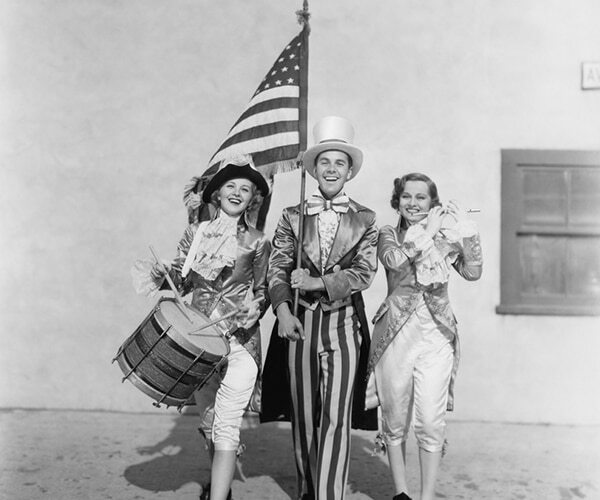 Tie a bit of ribbon onto the sticks so they’re ready to party. 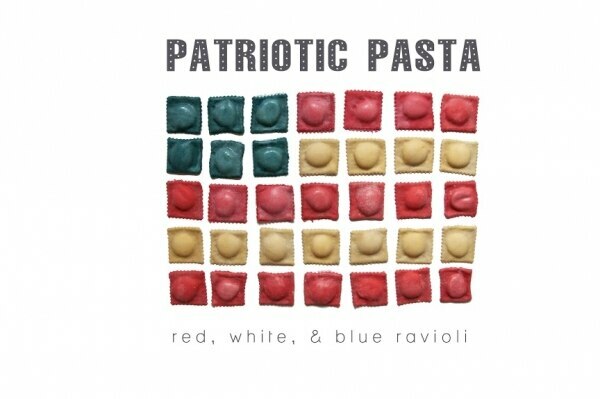 Make an eye-catching entrée out of these colorful ravioli. You could dye pre-made cheese raviolis, or get ambitious and make them from scratch. 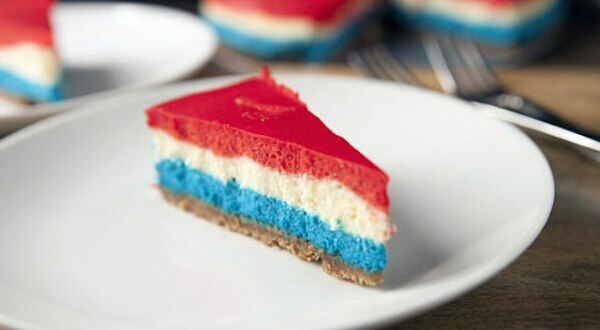 It doesn’t get much more American than cheesecake, unless of course it’s made with layers of red, white, and blue. For an even easier alternative, cover plain white cheesecake with raspberries and blueberries. Who doesn’t love chocolate dipped strawberries? 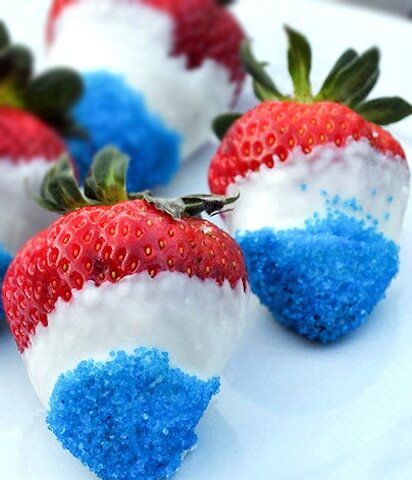 On the Fourth, they’ll taste even better dipped in white chocolate and blue sprinkles. 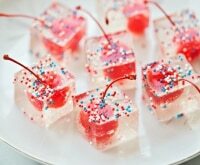 These adorable little desserts are simply 2 colored cookies with sweet cream cheese frosting wedged between. The light fluffy cookies don’t require long in the oven (perfect for summer baking), and they’re best made ahead of time for stress-free party throwing. 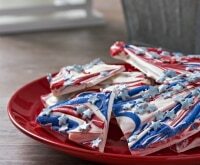 These simple cookies are a cinch to make in patriotic hues. 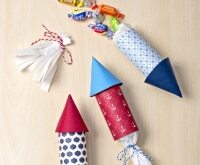 These crunchy, slightly chewy treats can also be flavored with extracts or zests, and you can shape them into any design you like, such as hearts, stars, and more. 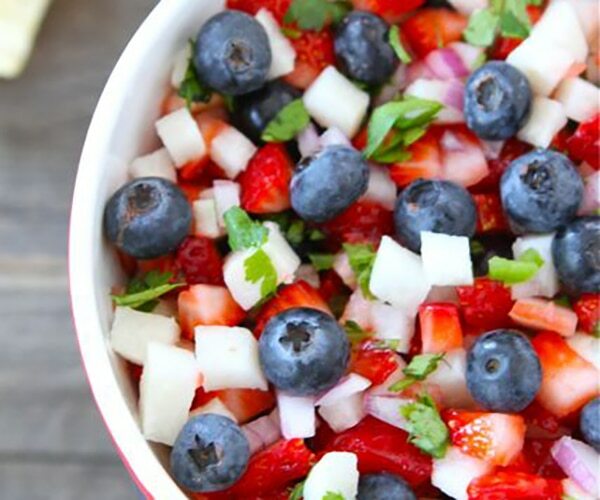 Kick off Independence Day with a bright breakfast. 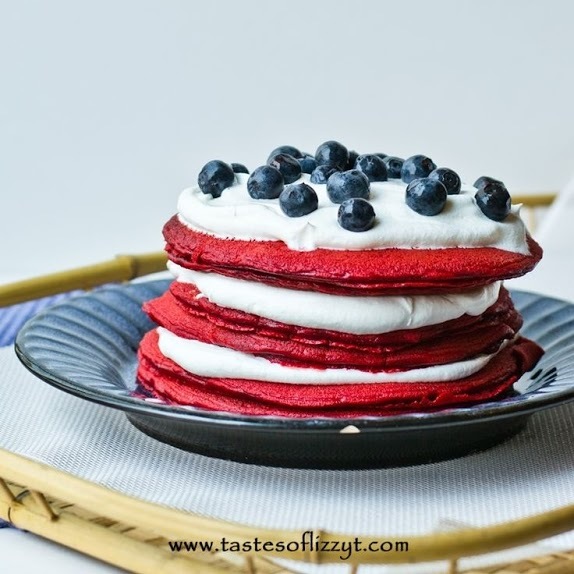 These easy pancakes are made out of red velvet cake mix, and you can serve them with whipped cream and blueberries for all the right hues. This cake looks amazing, but it’s surprisingly straightforward to make. 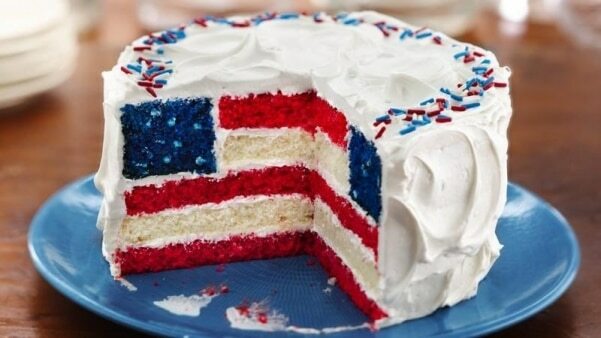 It’s simply a matter of cutting and layering in the correct way, and it’s worth it for such a fabulous Fourth of July dessert. 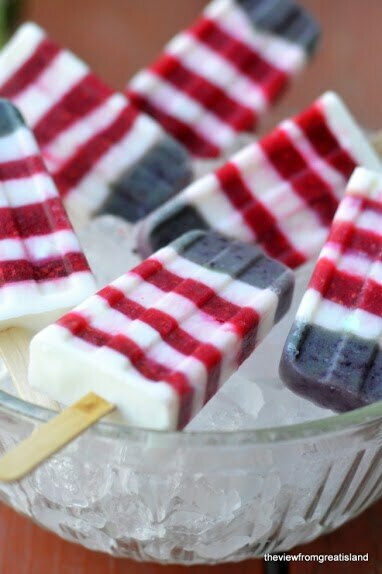 You only need three healthy ingredients to make these tricolored popsicles; blueberries, strawberries, and yogurt. If you don’t have a popsicle maker, this one from Amazon is inexpensive and effective. This is a ridiculously easy dessert, perfect for last-minute party preparations. 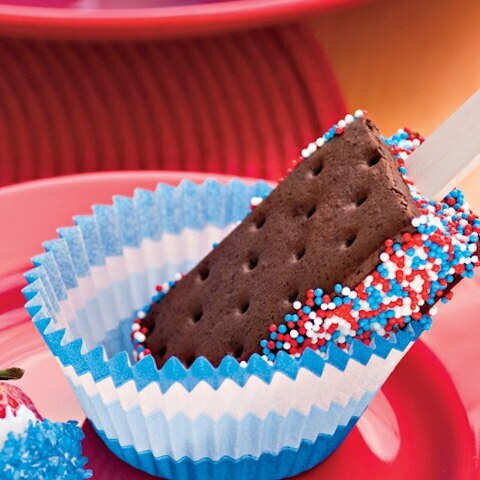 Simply roll ice cream sandwiches in patriotic sprinkles, then serve them as is or on a Popsicle stick. 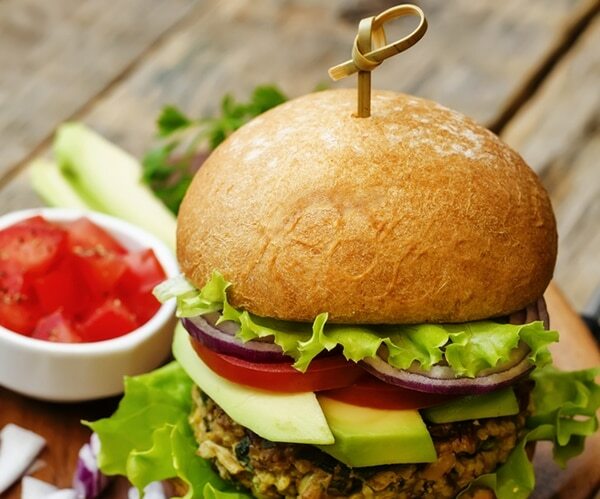 These easy breakfasts or snacks are healthy and great for kids. 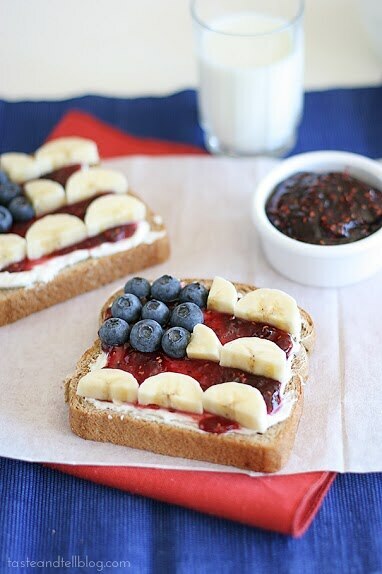 Simply layer toast with butter or cream cheese, raspberry jam, blueberries, and bananas. 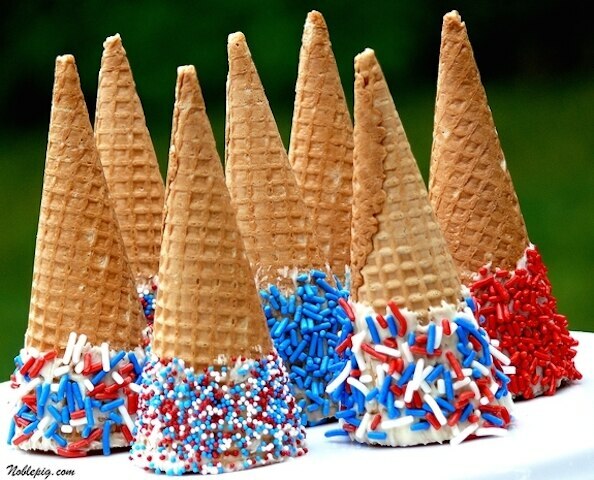 For an easy party dessert, make an ice cream buffet that includes these patriotic waffle cones. 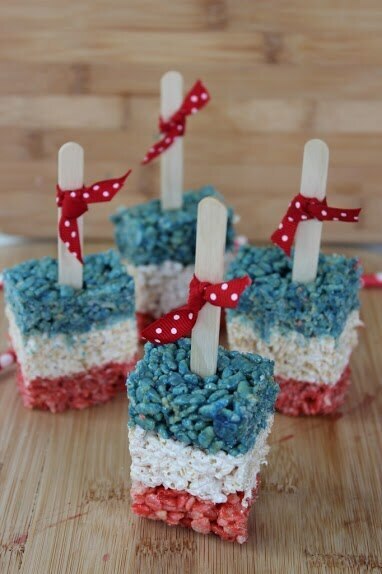 Just dip them in white chocolate and coat with red, white, and blue sprinkles. This party mix is perfect for a crowd, and you can adjust the ingredients to suit your taste. 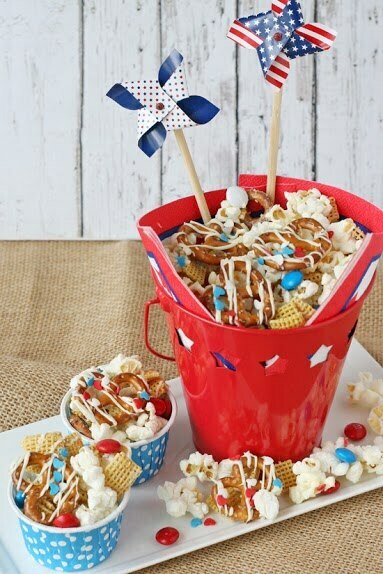 The basic recipe includes pretzels, popcorn, cereal, peanuts, white chocolate, and red and blue candies. 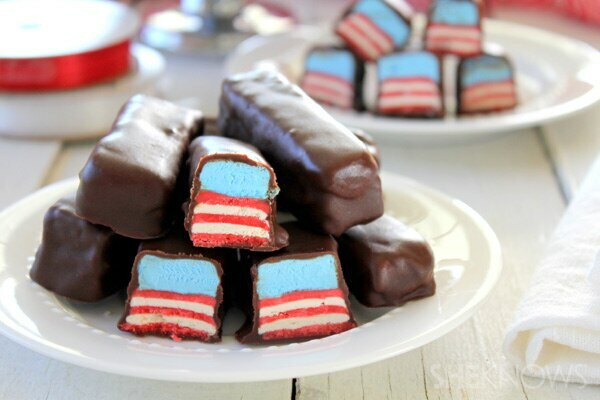 These candy bars, made out of nougat, cookie, and a chocolate coating, are way tastier and more patriotic than the store-bought variety. 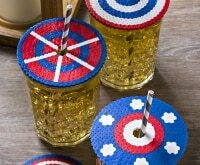 They take some time to make, but are well worth the effort and would be amazing party favors. 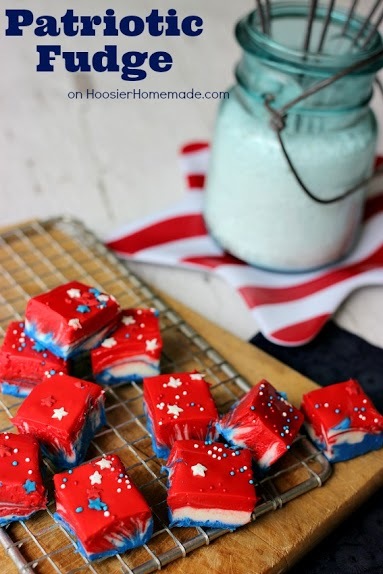 Make easy homemade fudge with a marshmallow fluff base, dye it, layer it, and swirl it together to resemble fireworks. 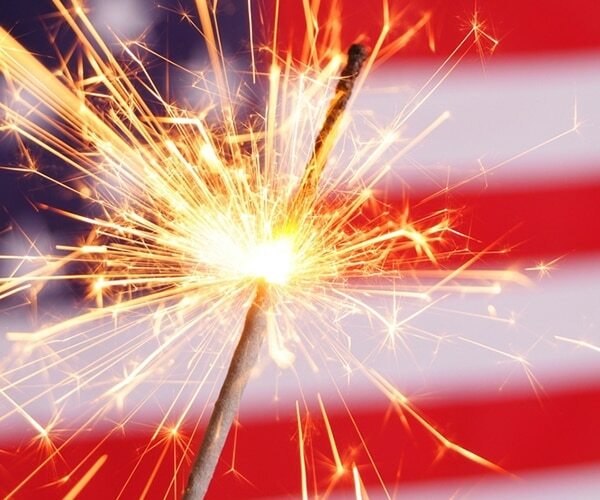 Adding star sprinkles completes the effect. This super easy snack will satisfy both your salty and sweet tooth. 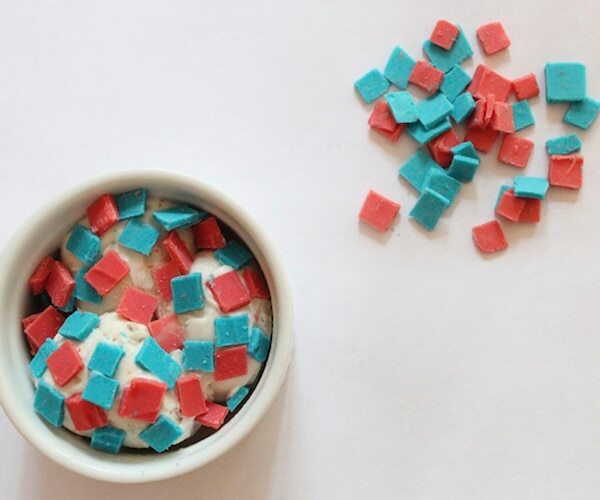 Melt white chocolate on mini pretzels, then stick red, white, and blue M&Ms on top. 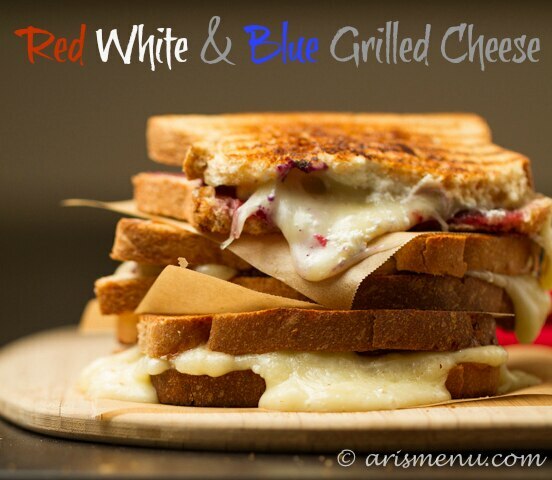 This American food staple takes a colorful turn when you combine white cheese with red raspberry jam and blueberries. Mixing Brie and goat cheese makes it especially delicious. 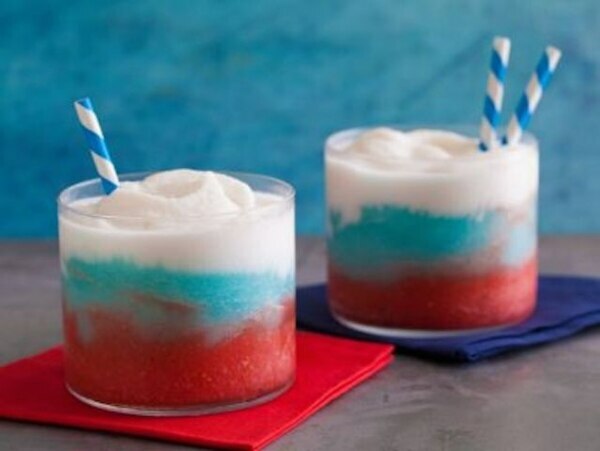 OK, it’s not exactly a food, but you can have this daiquiri as an appetizer or dessert. 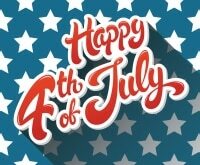 This is a celebration, after all! 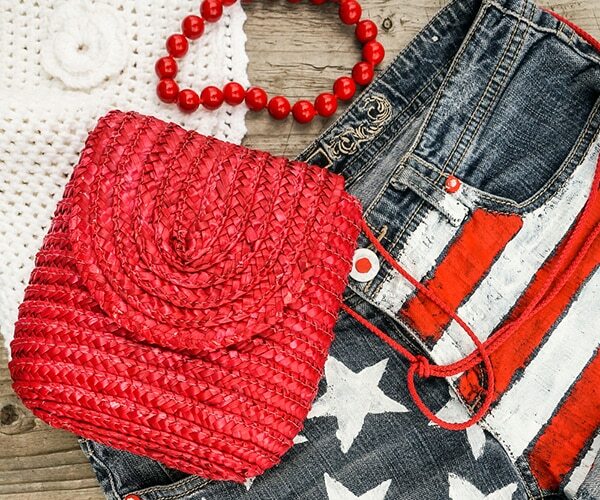 July 4th means summer and celebration, which calls for food that’s just as eye-catching as the fireworks. 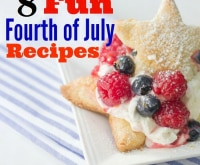 Your family and guests will get a kick out of these patriotic dishes, many of which can be made ahead of time for an easy and awesome Independence Day.